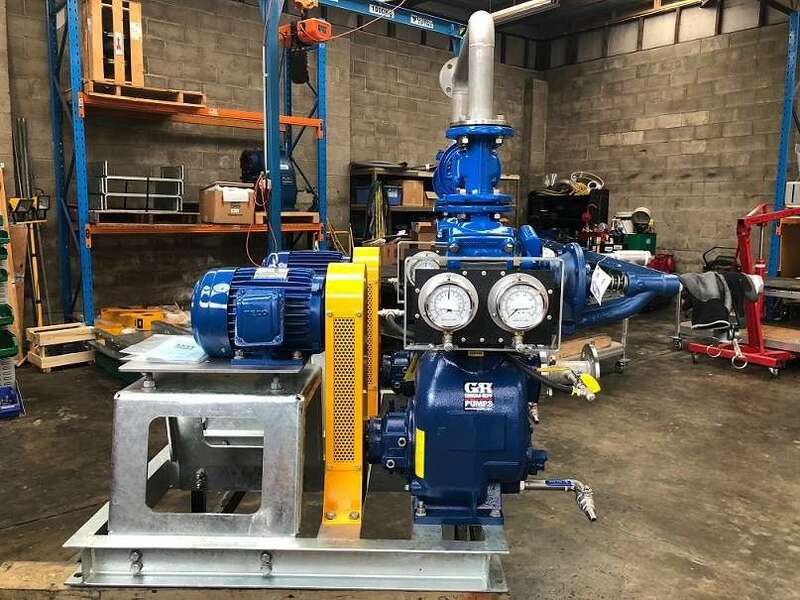 Another meat processing plant has just taken delivery of a Gorman-Rupp packaged self-priming wastewater pump system. The plant wanted wastewater pumps that were capable of passing a 35mm solid and that were reliable primers. 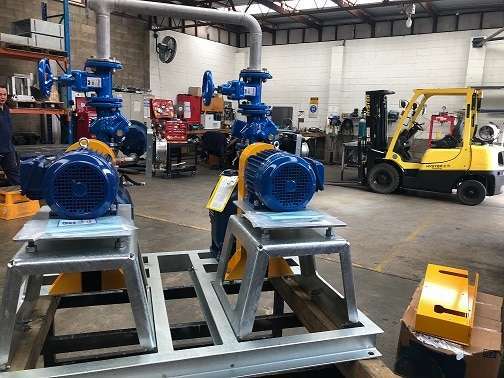 They wanted self priming pumps because of easy access for operators and the safety of having pumps mounted at ground level without the need to open wet well covers or use cranes to access pumps. The wastewater pumps needed to deliver 5 litres per second [L/s] against a 20m total head. This duty suited the Gorman-Rupp T2A60-B sewage pump perfectly. It is capable of passing a 38mm solid and will prime [and most importantly] re-prime reliably on suction lifts up to 7.6 metres. The sewage pump has a removable cover-plate to allow operators to access pump internals for inspection and/or repair and has a suction flap valve that can be inspected and/or replaced without opening the pump and without removing it from the pipe system. 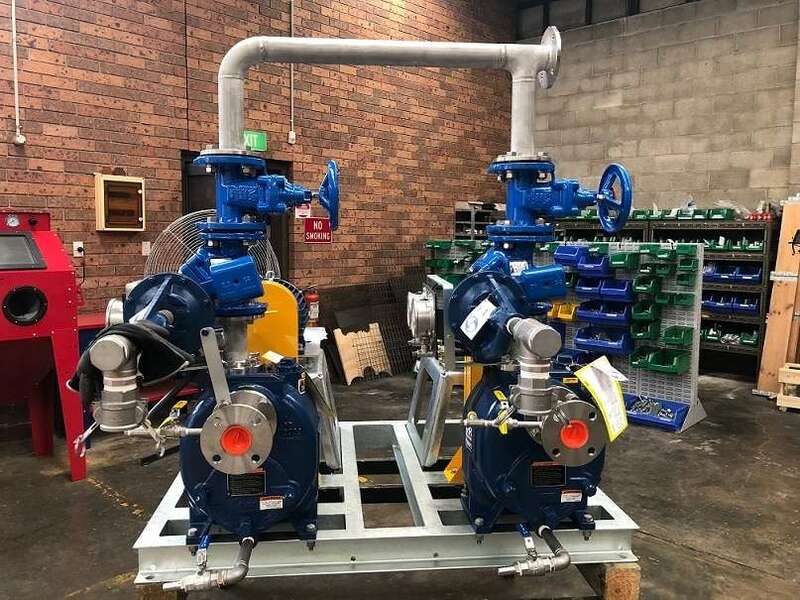 The complete wastewater pump system consisted of two pumps, two non-return valves, two isolation valves, two air release valves and all the inter-connecting piping. All components were selected to suit self-priming wastewater pumps.